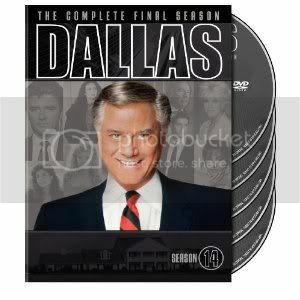 In its 14th and final season, Dallas goes out in a gusher of murders and kidnappings, lies and blackmail, seductions and schemes. J.R., Bobby and Cliff – three original characters so big only Big D could hold ’em – are at the heart of the action, surrounded by oil-country folks who joined the series over the years and a passel of dynamic newcomers. And of course there’s that Dallas hallmark, a white-knuckle cliffhanger. This time it’s a two-part finale inspired by It’s a Wonderful Life in which J.R.’s guardian from the great beyond shows the Lone Star State’s meanest rattler what the world would have been without him. Think everything’s for the better? Then you’re in for some surprises! Well I was pretty young when this series started but I remember watching this show with my mother once in a while when I was a child but of course I never really payed attention to this show back then but now I just love this show. This show is still awesome to watch.